The political noise generated by the showdown between Malacañang, the Arroyo camp, and the Supreme Court (SC) towards the end of 2011 drowned concerns on the anemic performance of the economy. Critics of President Benigno S. Aquino III even argue that the energy of government is being spent too much on going after Mrs. Gloria Arroyo. Consequently, they said, important issues like the slowdown in economic growth are left unaddressed. The most rabid allies of Arroyo even go as far as claiming that Aquino is reversing the supposed gains achieved by the economy during the previous administration. However, the deteriorating economic performance and social conditions are not simply the result of Aquino’s mismanagement as often alleged by critics and the political opposition. Much of it is due to the lack of real policy reforms that can shift the course of the economy from that taken by Arroyo and previous governments. This has been the underlying reason behind Aquino’s continuing failure to turn the economy around and improve the lot of our people. 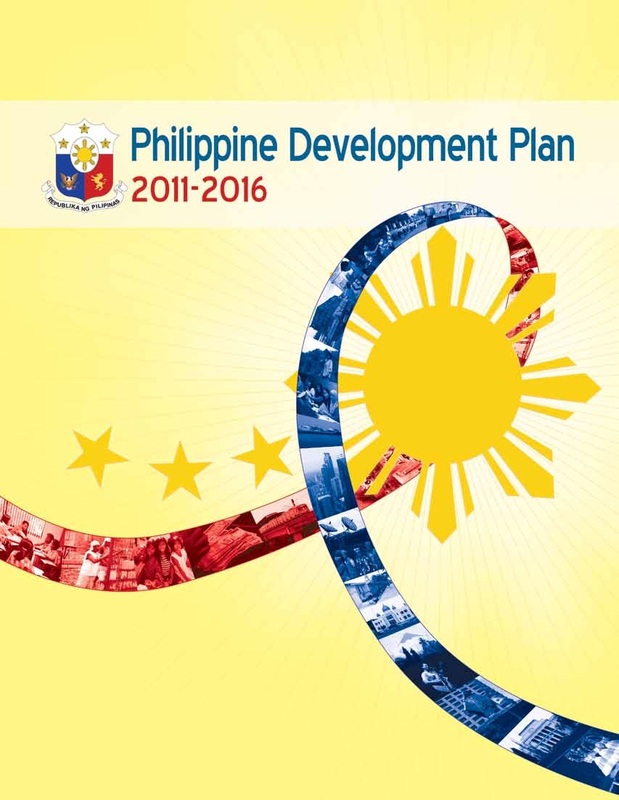 In March, the Aquino administration approved the Philippine Development Plan (PDP) 2011-2016 which details the policies and programs that it intends to pursue throughout its term. Supposedly, the primary aim of the plan is inclusive growth that is unlike the trickle-down and jobless growth the economy had in the past. To achieve inclusive growth, the PDP promotes good governance and anti-corruption that are expected to create massive job opportunities and reduce poverty. But aside from being couched in good governance and anti-corruption rhetoric, the PDP does not offer anything substantially different from past medium-term plans. There is nothing in the 400-page document that could create the conditions for inclusive growth as it adheres to the same flawed development paradigm of neoliberal globalization. Like its predecessors, Aquino’s PDP is skewed towards building the most favorable environment for profit-seeking foreign business and their local partners. Even the much ballyhooed good governance campaign of the administration has been reduced to issues that affect investment decisions and cost of doing business in the Philippines, including the enforcement of contracts and competition measures. Such pro-business environment could only come at the expense of the toiling masses and other oppressed sectors including small Filipino industries. To achieve inclusive growth, the PDP has set a target of an annual expansion in the real gross domestic product (GDP) of 7-8% and an annual net employment increase of one million jobs from 2011 to 2016. The PDP aims to do this by promoting what it described as areas with “the highest growth potentials and generate the most jobs.” The PDP listed them as tourism; business process outsourcing (BPO); mining; agribusiness and forest-based industries; logistics; shipbuilding; housing; electronics; and infrastructure. It is not by chance that these are the same priority areas being lobbied for government promotion by the Joint Foreign Chamber of Commerce of the Philippines (JFC) to supposedly increase investment and create jobs in the country. The JFC is composed of the chambers of commerce of the US, Japan, Europe, Canada, Australia-New Zealand, and South Korea as well as the Philippine Association of Multinational Companies Regional Headquarters. This underscores how medium-term plans, including Aquino’s PDP, are shaped not by the specific development needs of the country and its people, but by the particular interests of outside investors forever looking for the most profitable means to cash in on the domestic economy. Filipino micro, small, and medium enterprises (MSMEs), on the other hand, are still reduced to mere adjuncts of foreign business and exporters, and not as dynamic players in domestic production. The PDP’s priority areas are long held as supposed drivers of growth and employment but have until today continued to fail to induce sustained economic growth, much less address the chronic job scarcity and reduce poverty. They fail because while they may attract some capital and create some jobs, they are not anchored on any long-term national industrialization plan that promotes and relies on domestic production and consumption. They have always been driven by what is profitable for foreign investors and what meets the appetite of the global market, specifically of the developed world. This has been the case, for instance, in foreign-dominated extractive industries like mining, agribusiness, and forestry which have only plundered the country’s natural wealth to satisfy the need for raw materials of advanced capitalist economies. Export-oriented manufacturing, including electronics, has only exploited cheap Filipino labor and has no significant linkages to the domestic economy. The fast rising BPO industry, meanwhile, is also illustrative of how “growth” has become detached from the specific requirements of the domestic economy as it caters to First World industries and produces jobs that are alien to most unemployed Filipinos. Whether or not these industries could help generate a million jobs a year remains to be seen, but as it is, the target is too modest for the promised economic growth under the PDP to be inclusive. Job scarcity has been at its worst since the past decade, mitigated only by the growing export of overseas Filipino workers (OFWs). In 10 months this year, the country has been deploying 4,441 OFWs every day, higher than last year’s 4,214. And as if an implied admission of the absence of a comprehensive program for domestic job creation, the PDP endorsed labor export as a policy, defining employment generation as “all forms of employment… whether at home or abroad.” On top of mitigating the jobs crisis, labor export, said the PDP, has also become a steady source of foreign exchange and capital, and help fuel domestic consumption. These are the supposed “benefits” of labor export that the Aquino administration is unwilling to forego and instead pursue through strong domestic job creation. But aside from the incalculable social dimension of forced labor migration, labor export is also anti-development in the long run as the domestic economy is deprived of invaluable human resources. Justified by its stated goal of creating jobs, the PDP is explicit in its intent to promote the interest of corporations. At the same time, it is silent on the quality of jobs that it intends to produce or in particular, how the rights and welfare of workers will be safeguarded and advanced. Due to the single-minded purpose of the PDP to attract more foreign investment to generate jobs, it is likely that the ongoing assault on workers’ rights to job security, to unionize, and to receive wages that allow for decent living, among others will continue and worsen. Under the PDP, tripartite councils shall be strengthened to ensure “industrial peace”, often a euphemism for subverting workers’ resistance, instead of the government assuming a more proactive role in defending the rights and welfare of wage earners. As envisioned in the PDP, infrastructure development will serve the overall goals of inclusive growth and poverty reduction in two major ways – first, as a priority area for private investment and as a producer of jobs; and second, as support to economic sectors and as a provider of equitable services, including housing, health, and education. At the heart of government’s efforts to accelerate infrastructure development is the PPP scheme, thus ignoring the decades of harmful experience under privatization. PPP first became a national policy through the structural reforms imposed by the International Monetary Fund (IMF) and the World Bank in the late 1980s during the first Aquino administration. The case of privatized water and power infrastructure is most telling; private investors are assured of profits through over-generous and anomalous incentives and even bailouts, which exacerbated the fiscal burden of government. User fees have also gone up excessively to the great detriment of consumers especially because the target of privatization has been the basic infrastructure like utilities. These are the sorts of problems that the PDP will aggravate with its avowed promotion of PPP. Under Aquino, the fees at the country’s toll roads have already hugely increased while similarly exorbitant fare hikes face commuters of the LRT and MRT. Meanwhile, the administration is also proposing specific amendments to the Build-Operate-Transfer (BOT) Law or Republic Act (RA) 6957 (as amended by RA 7718) to set the legal basis of the so-called regulatory risk guarantee. The said guarantee will oblige government to shoulder the “losses” of a PPP investor in case a local court, regulator, or Congress stopped it from imposing a questioned user fee. These issues easily offset whatever economic gains the country gets from additional and improved infrastructure. Worse, even the supposed economic gains are suspect. Due to the flawed neoliberal framework of the PDP, infrastructure development will merely serve the narrow profit agenda of foreign business and their local partners instead of helping lay down the foundation for genuine national industrialization. Finally, the PDP has also set “social development” among its agenda, and will “focus on ensuring an enabling policy environment for inclusive growth (and) poverty reduction.” One of the main strategies to meet the social development component of the PDP is the provision of CCT to the poor. Under Aquino, the scope of the CCT has been expanded tremendously and the program that Arroyo started with just several thousand beneficiaries in 2007 now intends to cover 4.3 million households by end of the PDP. For 2012 alone, the CCT program targets 3 million households with a proposed budget of P39.5 billion (from just P10 billion in 2010). This massive expansion in scope and budget is not backed by any thorough assessment on whether the program has actually contributed to sustained poverty reduction, not to mention that it is funded by $805 million in growing foreign debt that has long been debilitating the economy and depriving the poor of much needed social services. ← Who’s afraid of Occupy Mendiola? Job creation in the mining industry is very limited. By leveraging open pit mining, few hands are needed and mostly just for driving those big payloaders. But the devastation it brings to communities far outweigh the limited benefits it brings to a few families.